M3rNi3: The Kewl People Around Me! Lots of pix were taken during this Eidl Fitr Celebration when we went visiting. Here are some pix that I'd like to share. 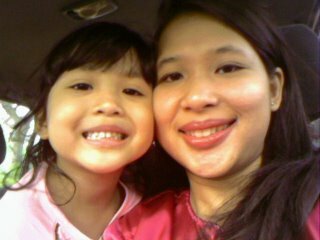 This is a pic of me and Tihani taken in our car on the way to my bro's hse. And this is a pic of my siblings taken at my eldest bro's new abode. 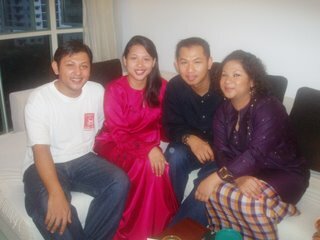 From left to right .. my eldest bro, Zul, myself, my 2nd bro, Andy and the baby among us, Rose. Do you think we all look alike?? 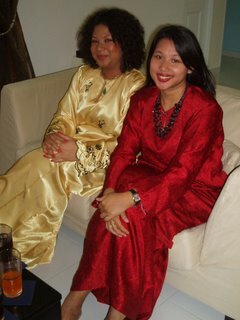 Here's a pic of me and my sis taken at my 2nd bro's house. 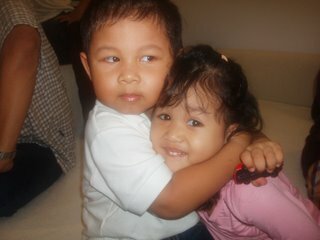 And last but not least a pic of my nephew, Hashri and my 2nd daughter, Auni. Careful, Hash .. jus dun wrestle her hard k .. hehehe ..